CRAWFORDSVILLE, Ind. — Wabash College’s Visiting Artists Series will present baritone Kurt Ollmann at 8 p.m., Wednesday, February 16, in Salter Concert Hall in the Fine Arts Center. In concert Ollmann will perform a program of French and American songs, including works by Debussy and Ned Rorem. This acclaimed young artist first came to prominence singing the role of "Riff" on the Deutsche Grammophon recording of West Side Story under Leonard Bernstein, and was Maximilian in the Grammy Award-winning Candide conducted by the composer. 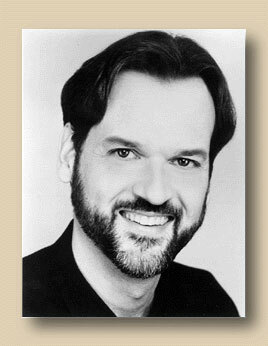 Ollmann has sung Pelléas at La Scala under Claudio Abbado, the Count in The Marriage of Figaro at the Opera Theater of St. Louis, and Don Giovanni in the original Peter Sellars production at Pepsico Summerfare. He scored a recent success as Orin in the revised version of Martin David Levy’s Mourning Becomes Electra at the Seattle and New York City Operas, and has performed widely in the United States and Europe. USA Today had this to say about Ollmann, "Kurt Ollmann makes Don Giovanni a sexually compulsive James Dean. His keen acting ability and mellow baritone suggest a wonderful career abroad."